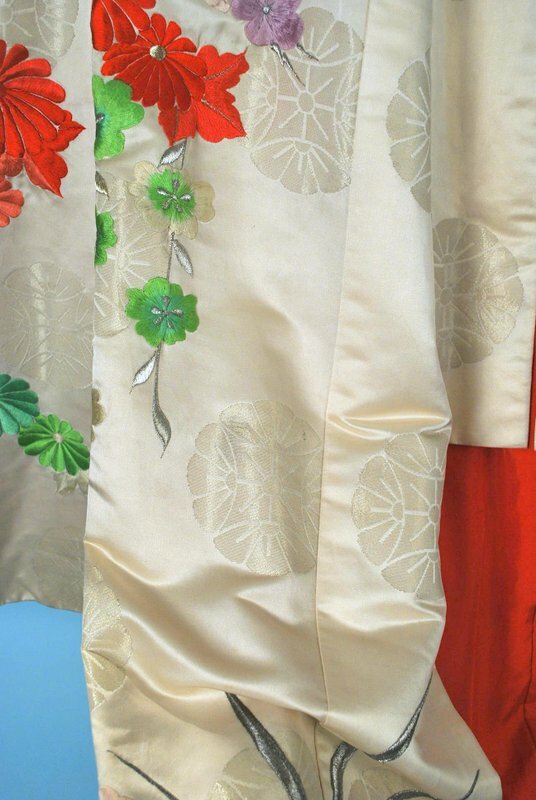 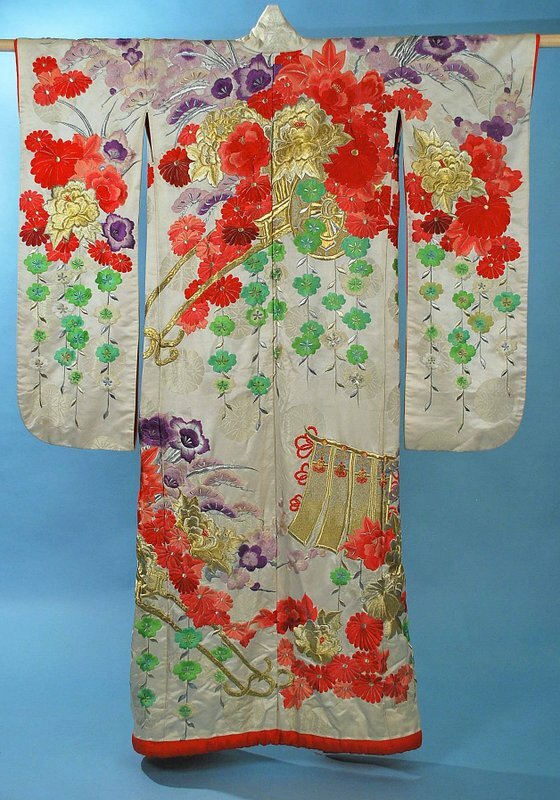 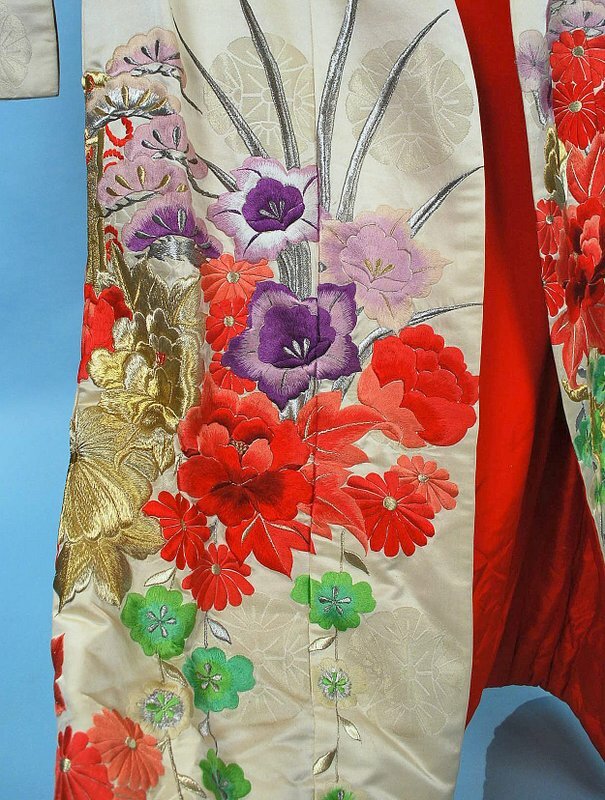 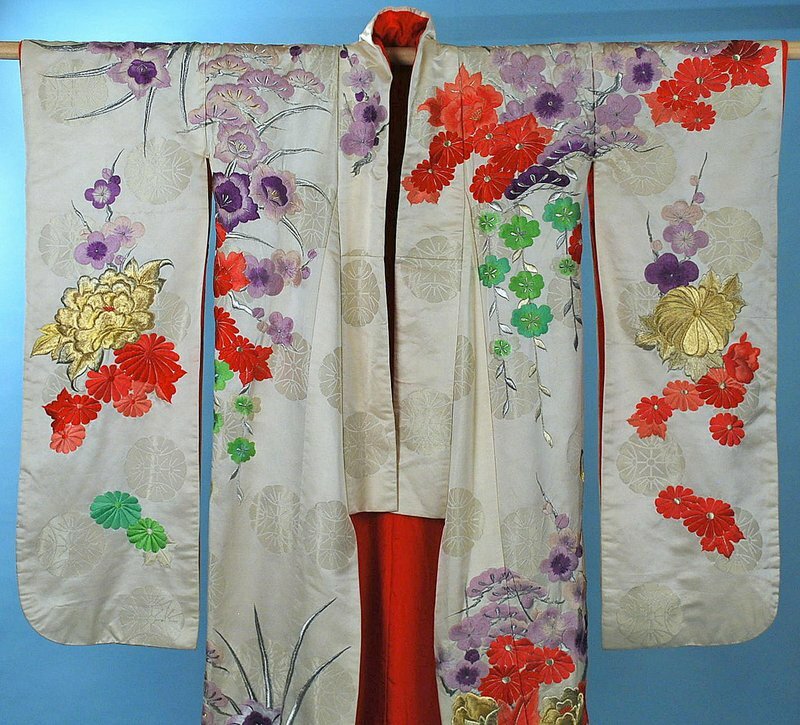 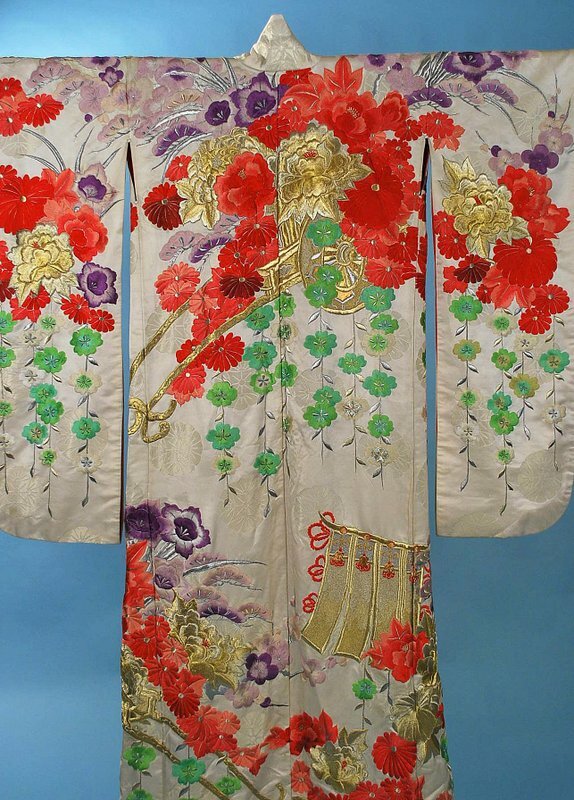 Beautiful vintage formal wedding Uchikake kimono dating to the mid 20th century. 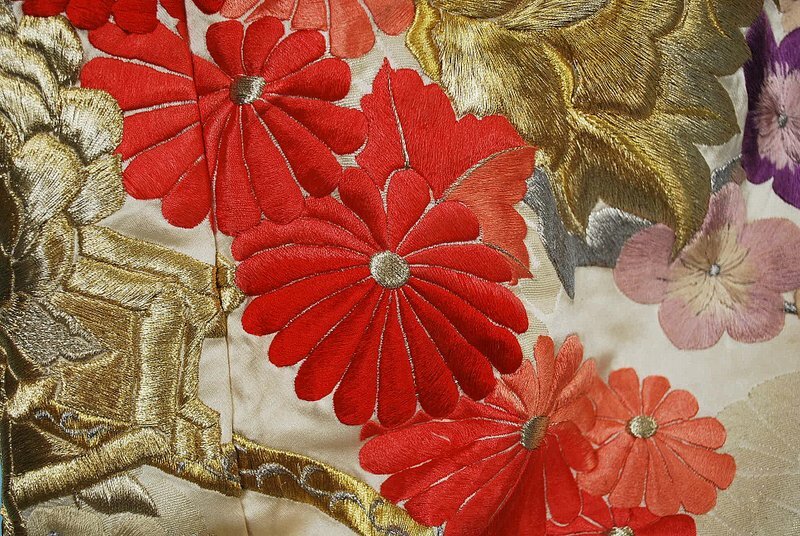 Dazzling heavy embroidery in silk and gold and silver metallic threads in exuberant floral design elements and auspicious symbols on a heavy silvery white silk, lined in red silk with heavy padded hem. 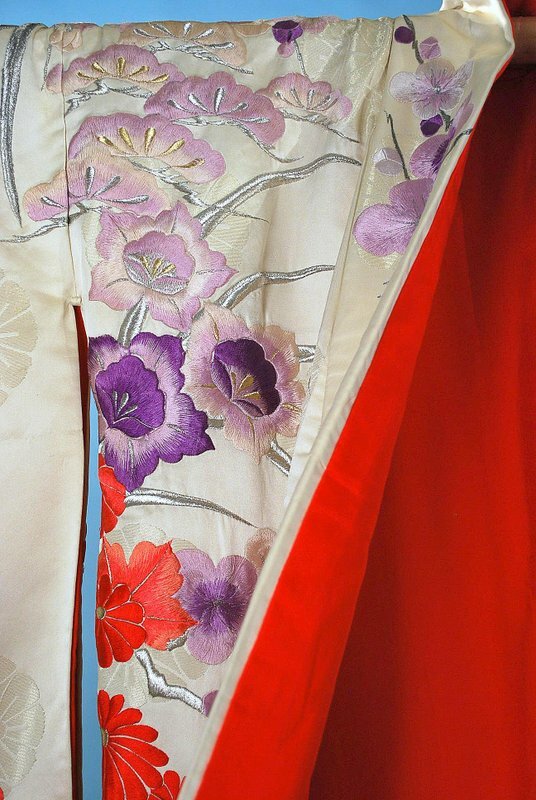 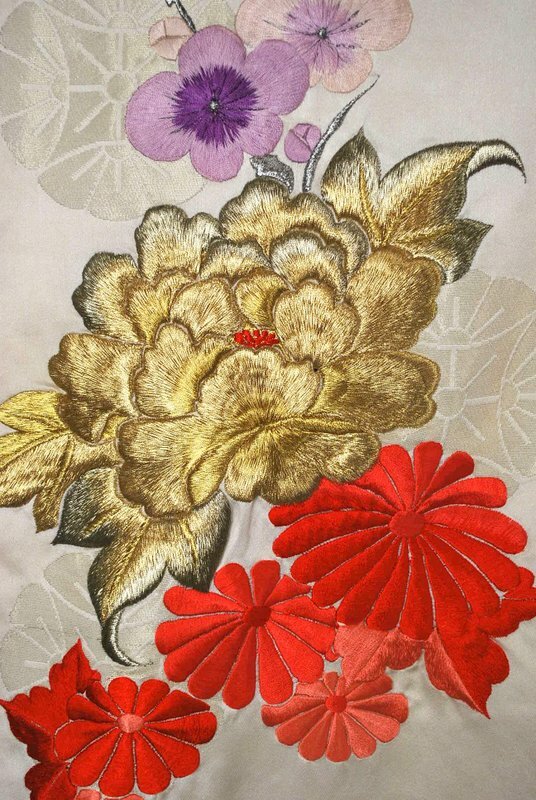 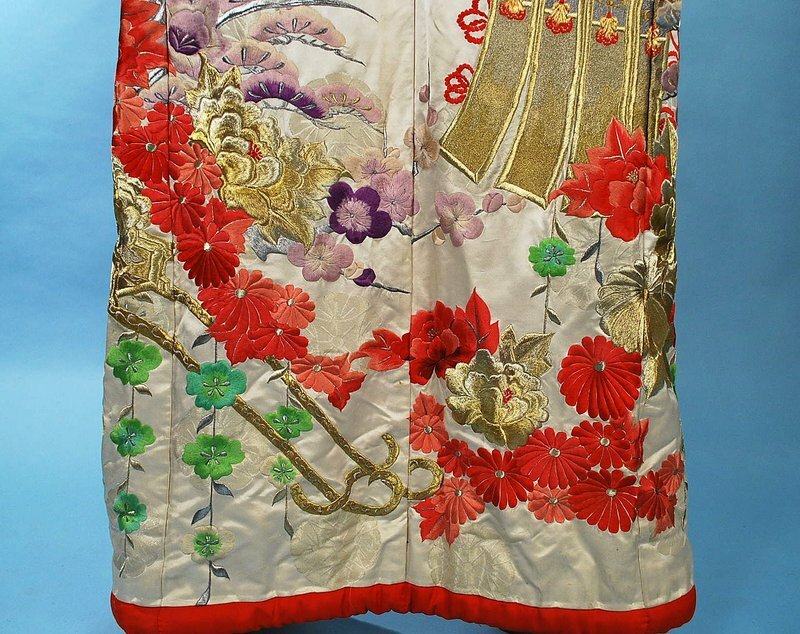 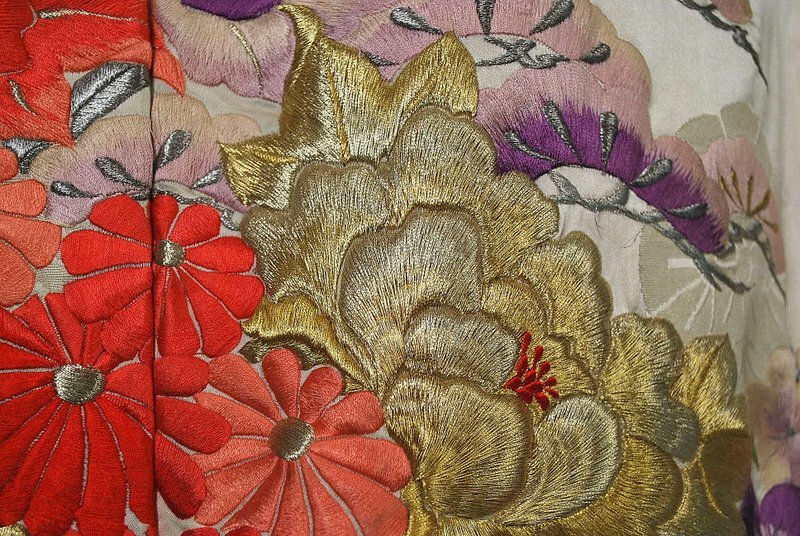 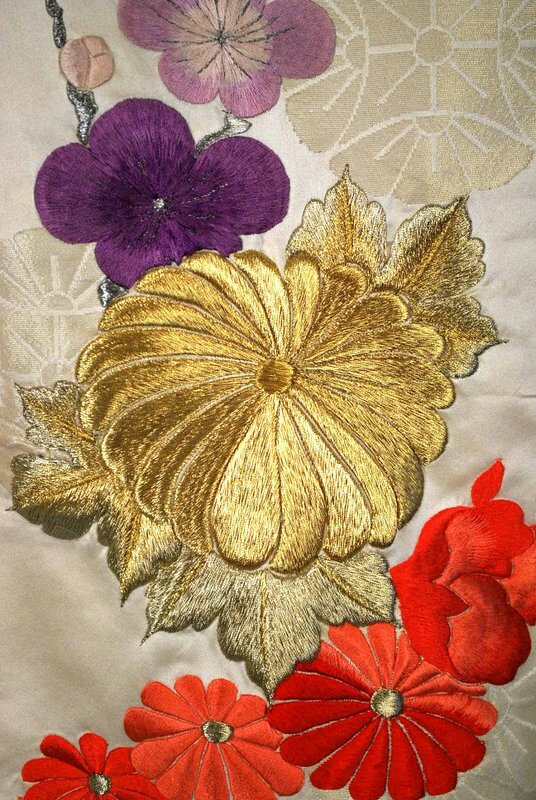 Made in refined and elegant materials and embroidered with high degree of skill these Uchikake kimonos have been regarded as great works of art. 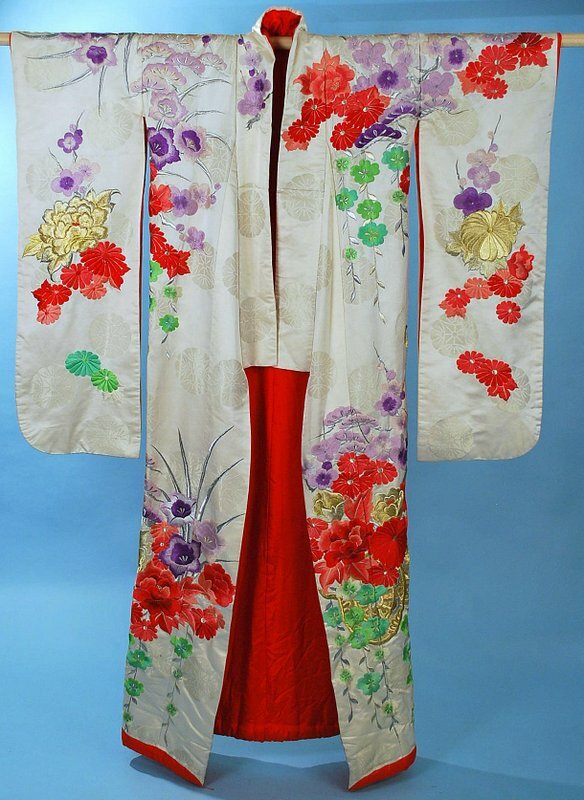 In excellent vintage condition and weighing in at approximately 10 lbs. 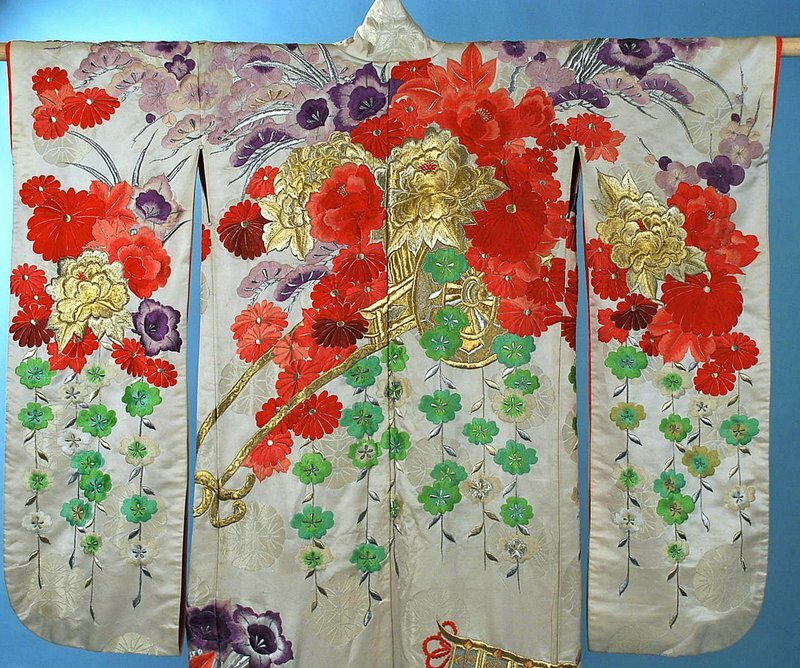 Measures in the chest 54″ and 72″ in length.